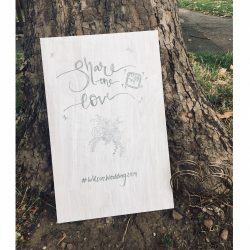 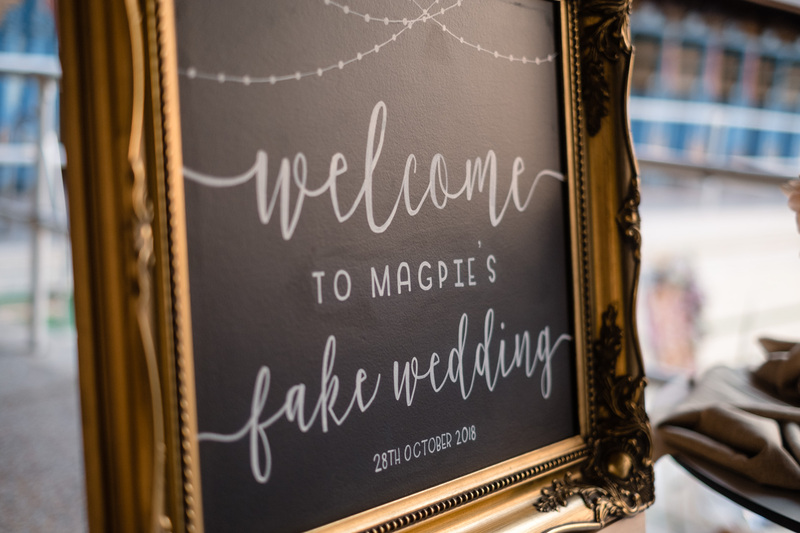 Lucky Nibs provided us with a beautiful hand painted sign for our Modern Vintage Wedding! 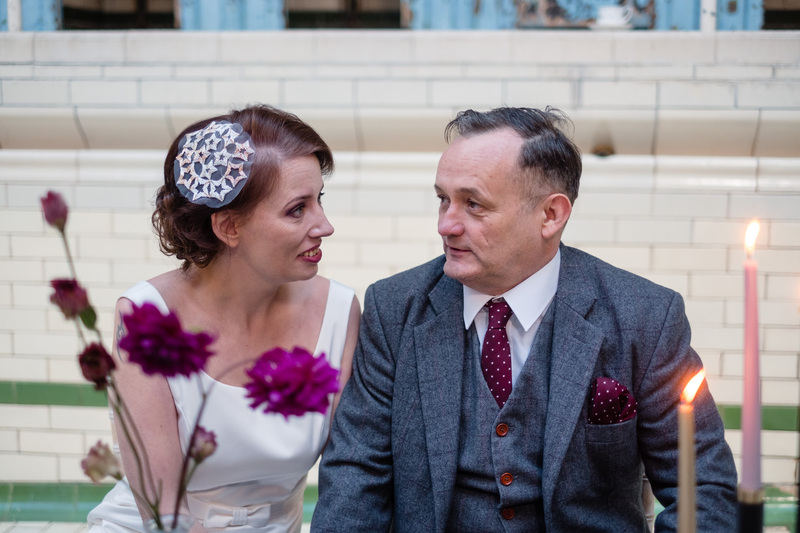 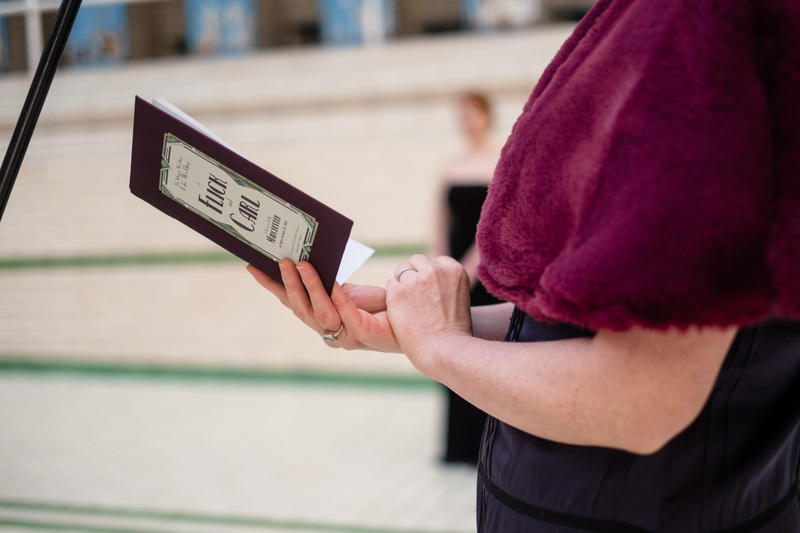 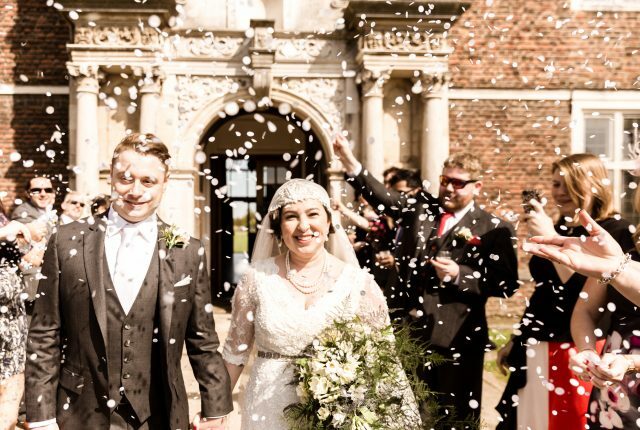 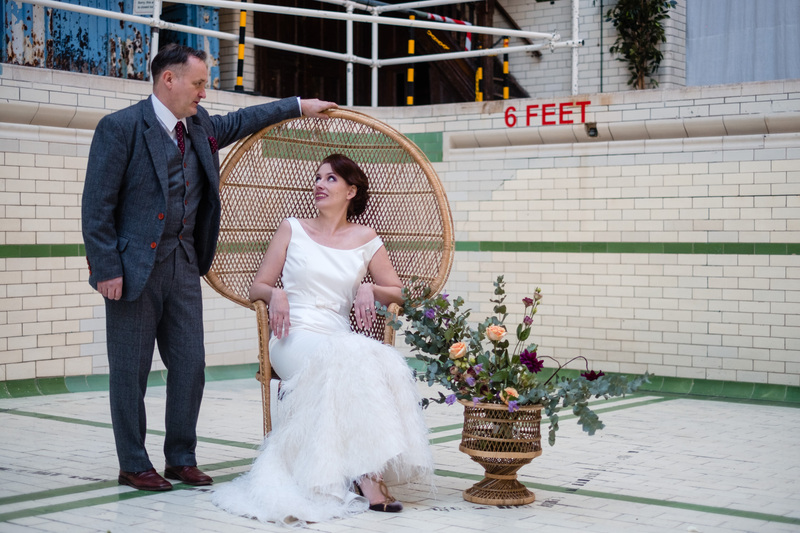 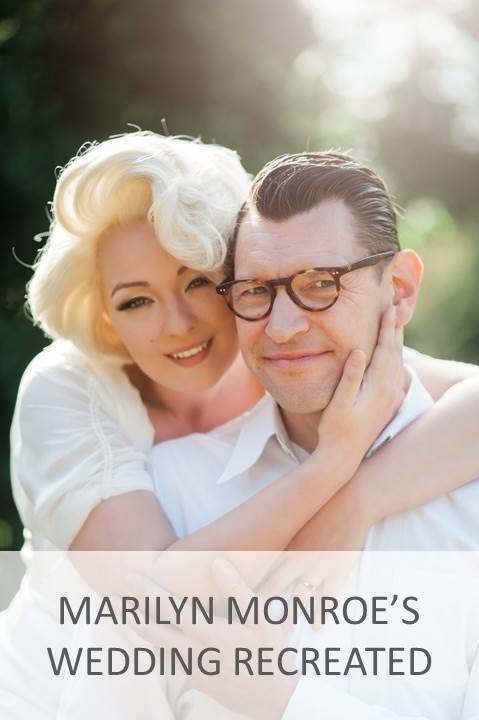 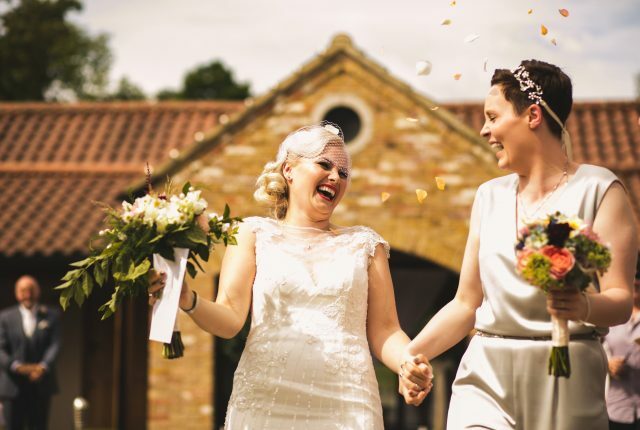 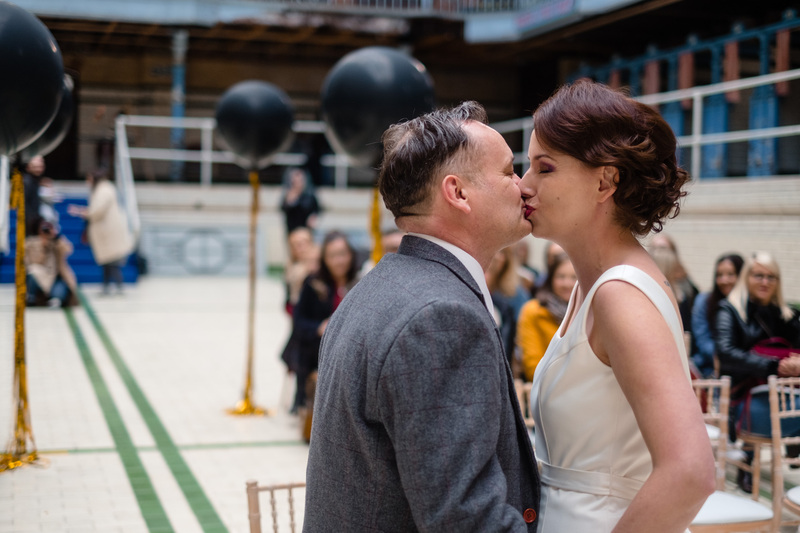 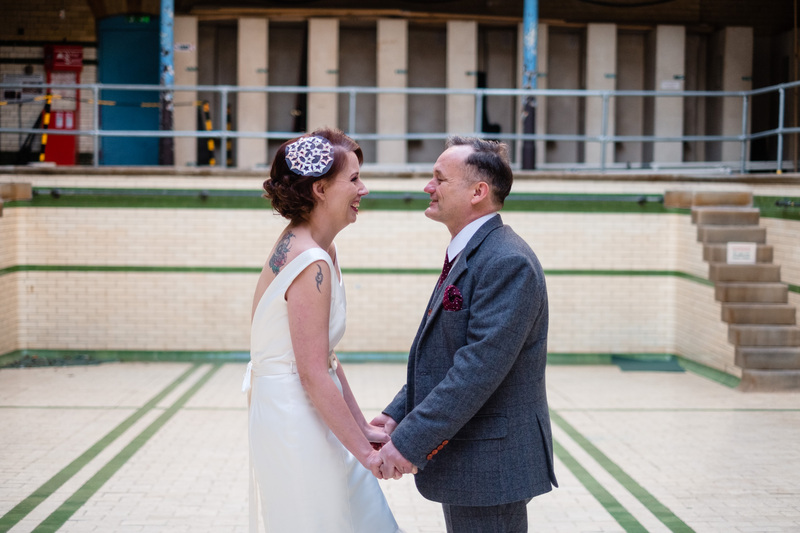 The wonderful Flick and Carl were our lovely ‘Bride and Groom’ and Charlotte from Charlotte Simpson Ceremonies did the most beautiful personalised ceremony for them, with stories of how they met and all the lovely quirks of their relationship. 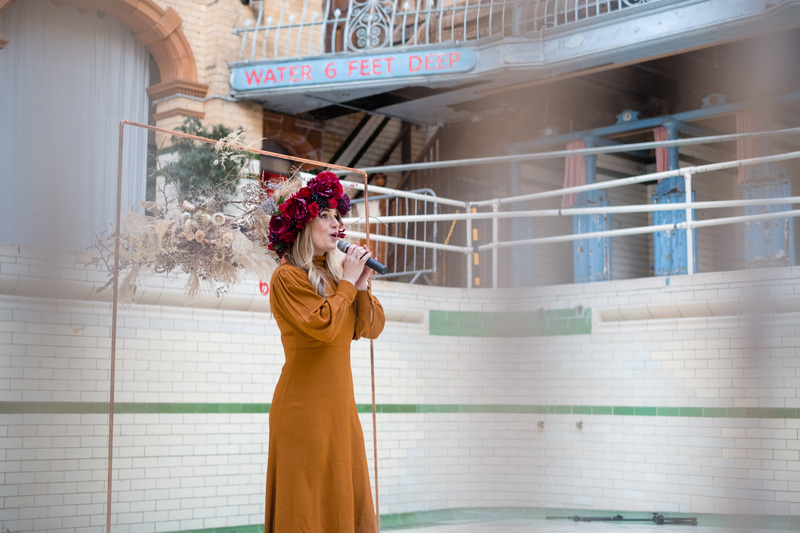 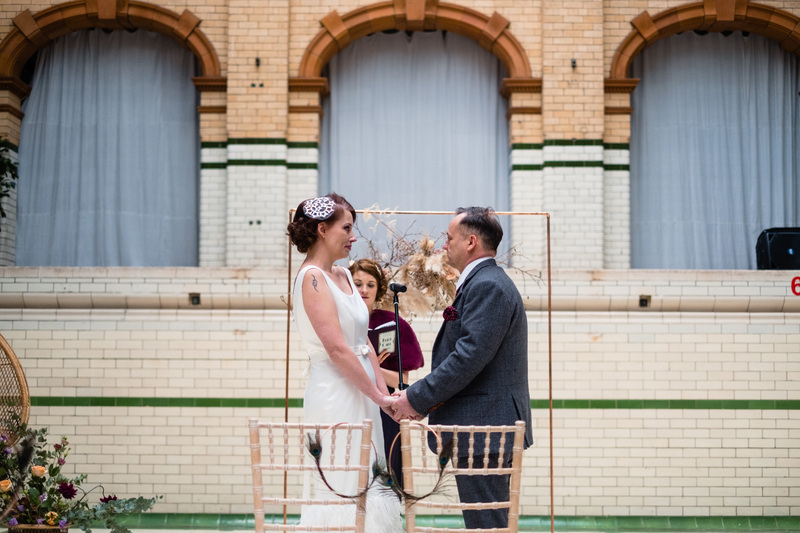 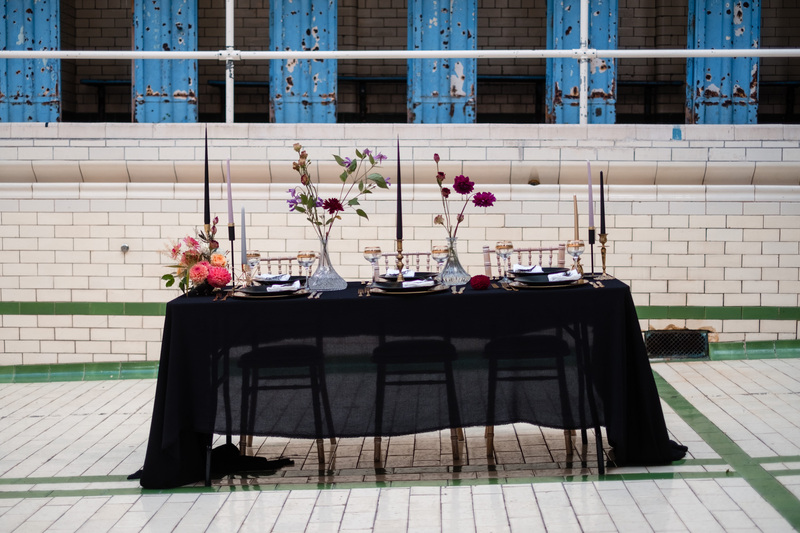 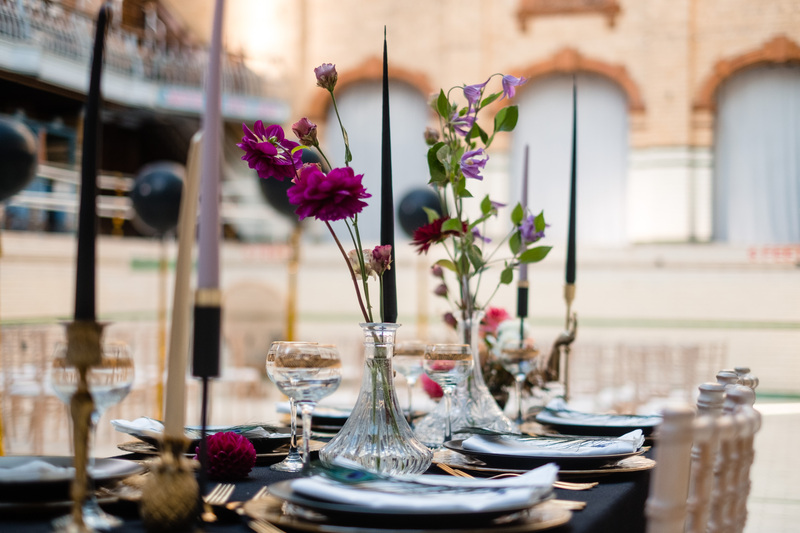 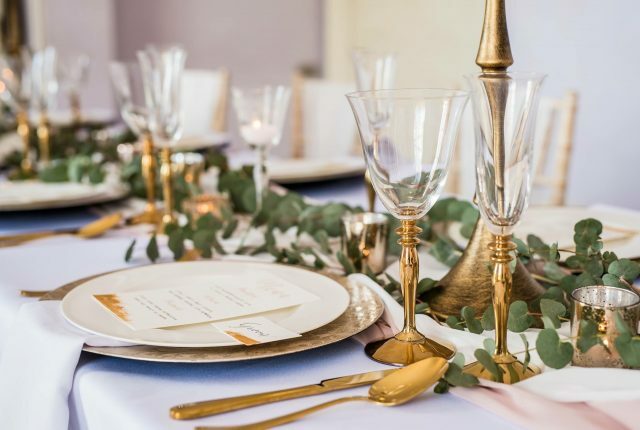 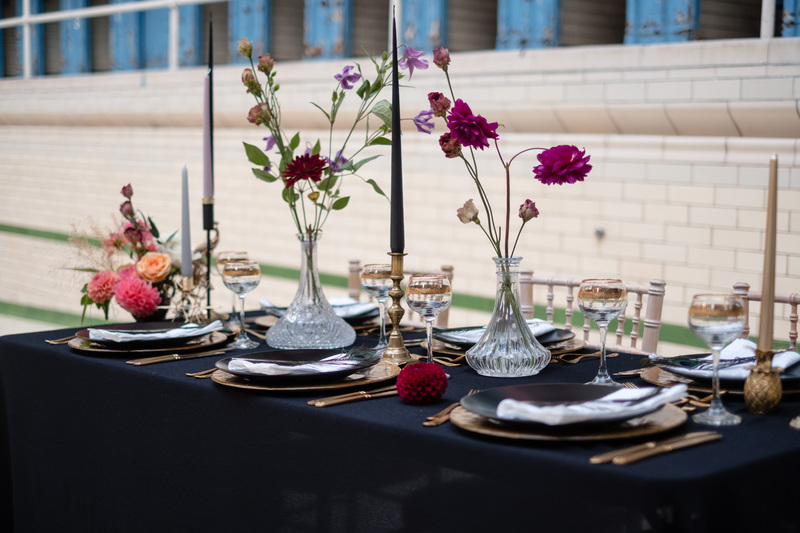 We had the wonderful Kate from Florence and Vera who did the most beautiful styling across the baths – with sheer table cloths, stacked table settings and modern art deco cutlery, all finished off with a pheasant feather or two. 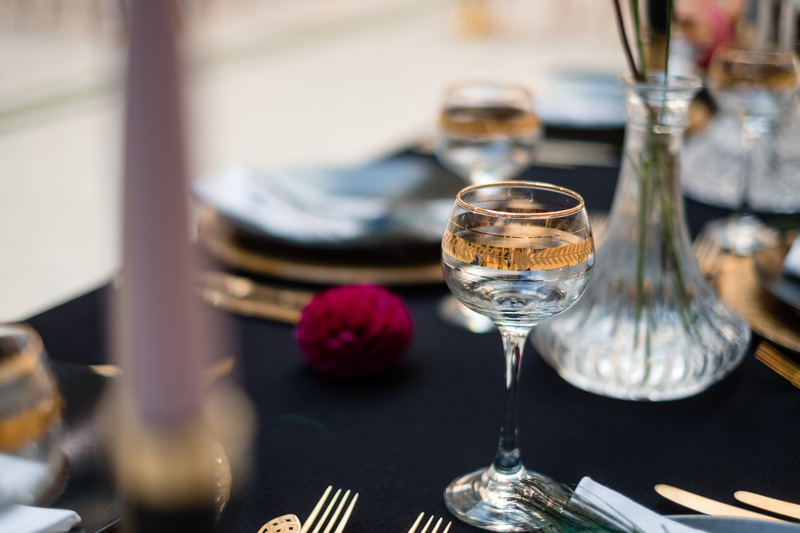 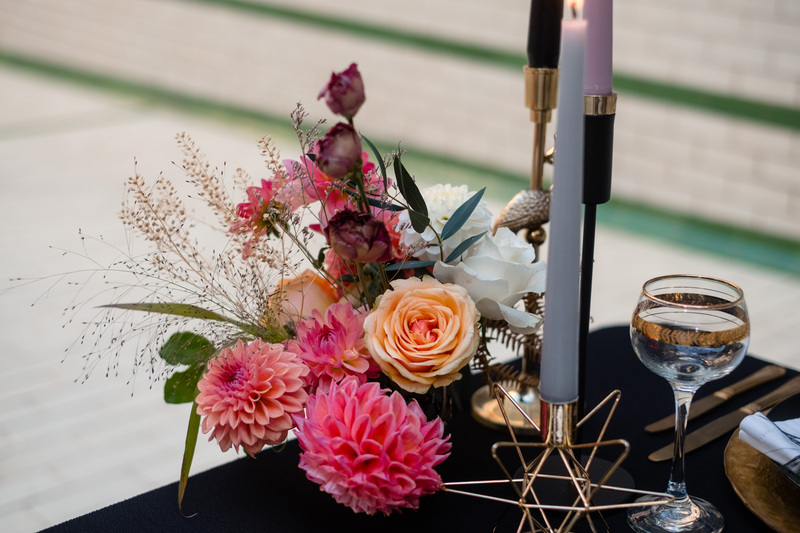 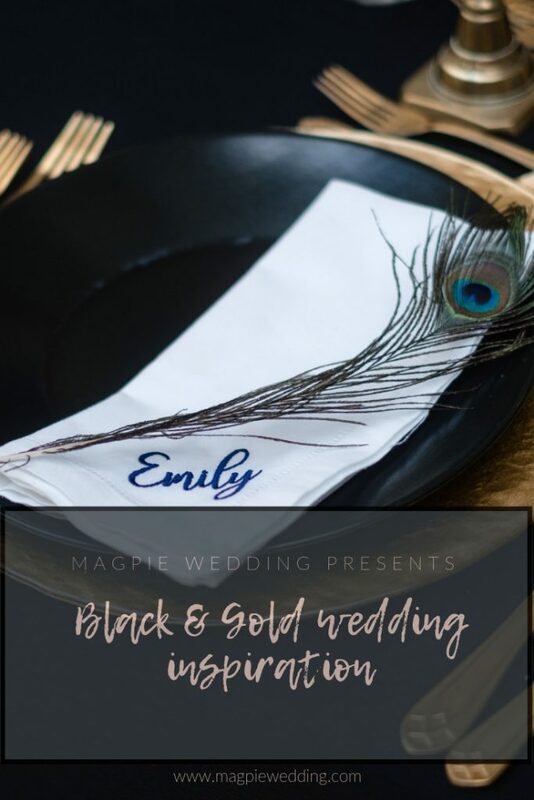 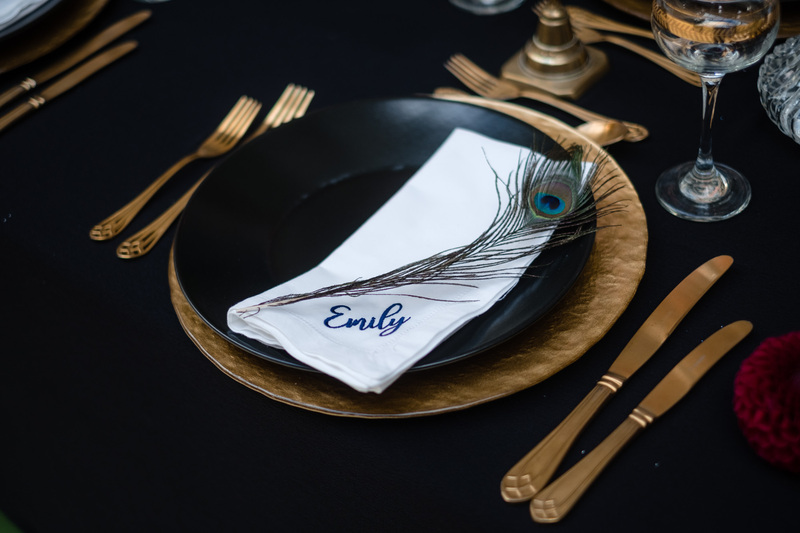 It followed our modern vintage theme to perfection with a black and gold base and pops of colour! 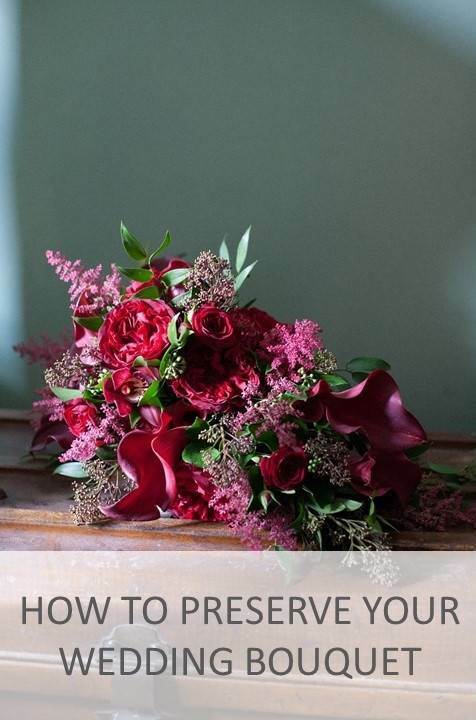 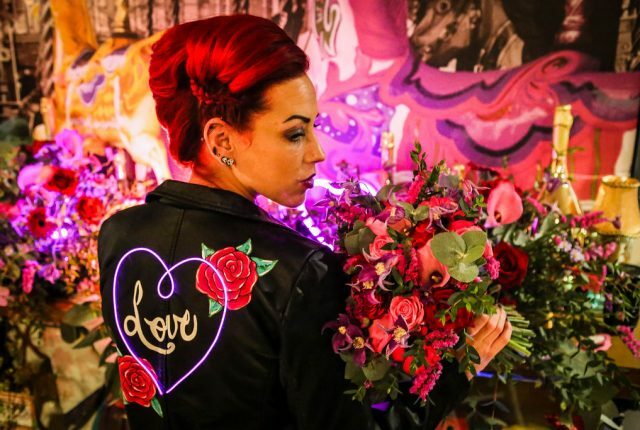 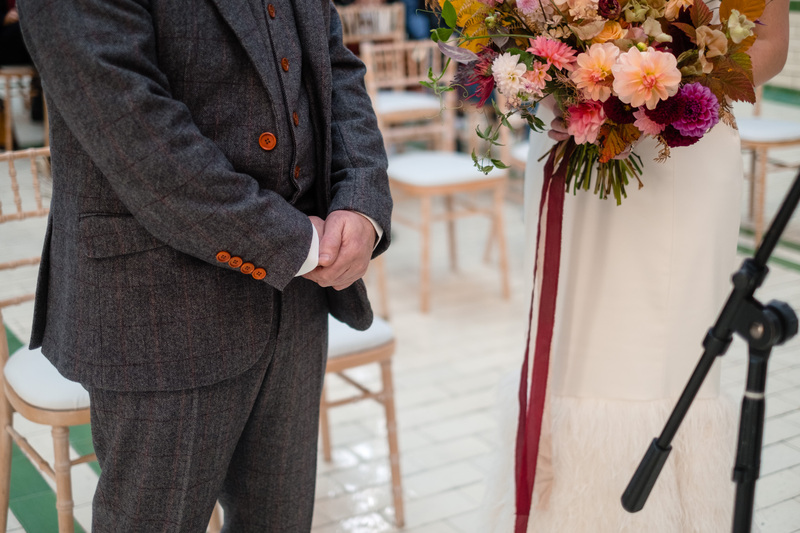 Artemisia brought the pops of colour with the most beautiful floral designs, simple and elegant – she also held a workshop on the day and showed our brides how to make flower corsages for their big day! 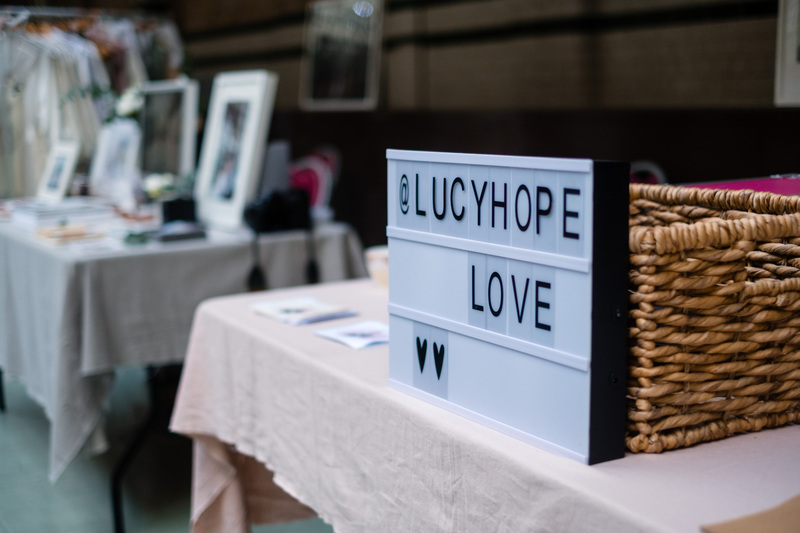 Lucy Hope Love had a treat for our ears, and sang the bride down the aisle and Coco Vintage Collection had edible treats for us! 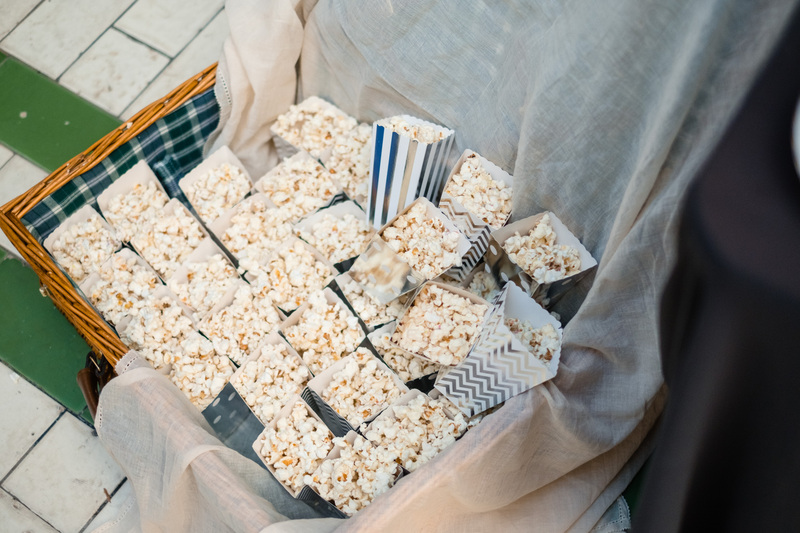 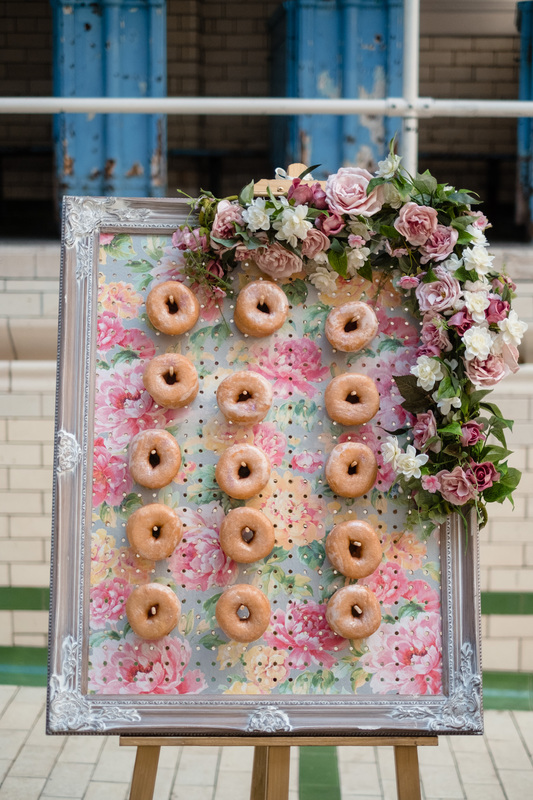 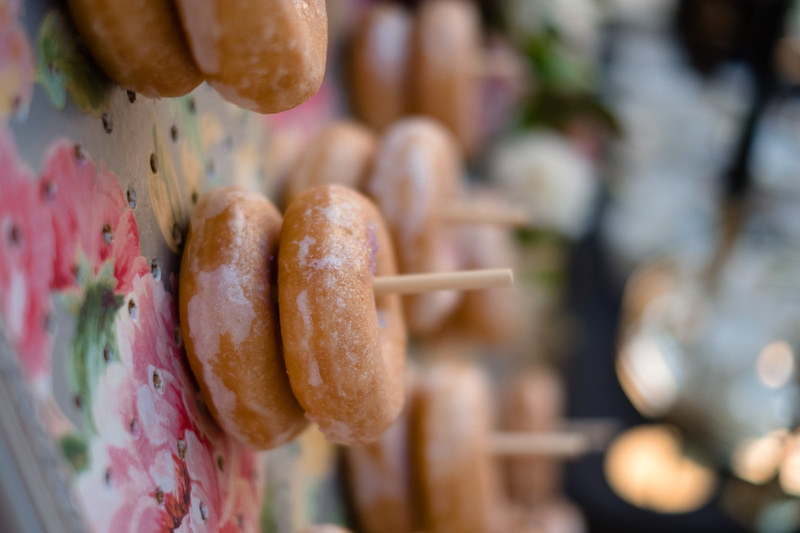 They provided the doughnut wall and popcorn basket which went down a treat with all our guests. 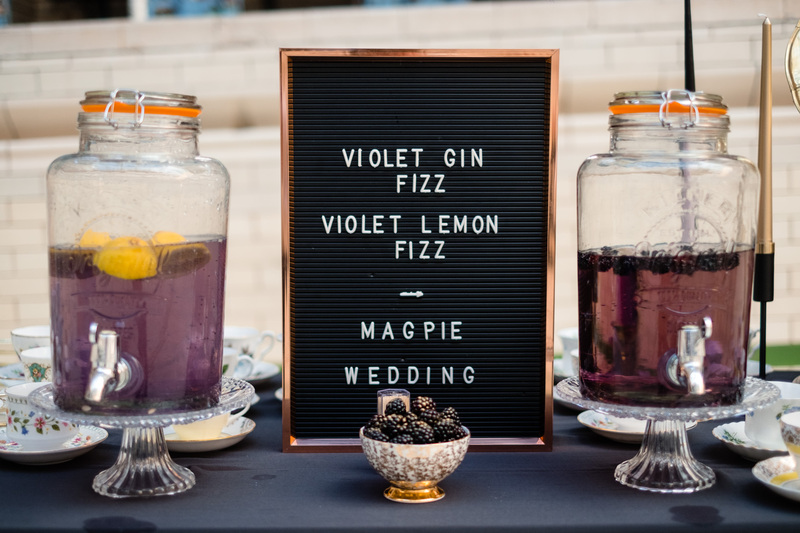 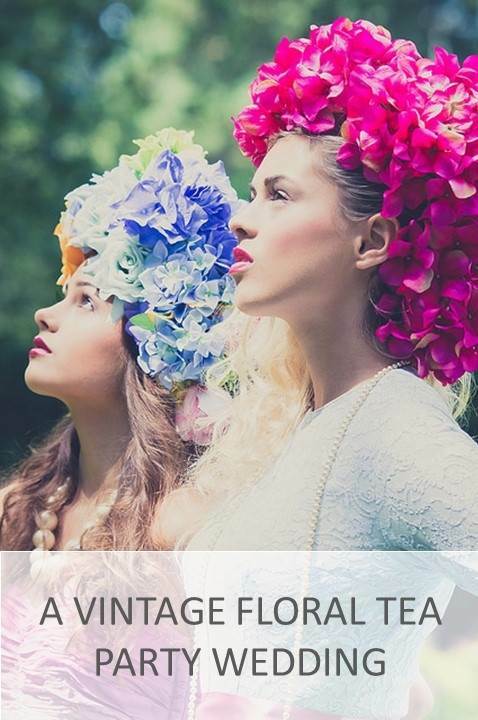 They also had the most wonderful vintage teacups for serving our violet themed drinks in! 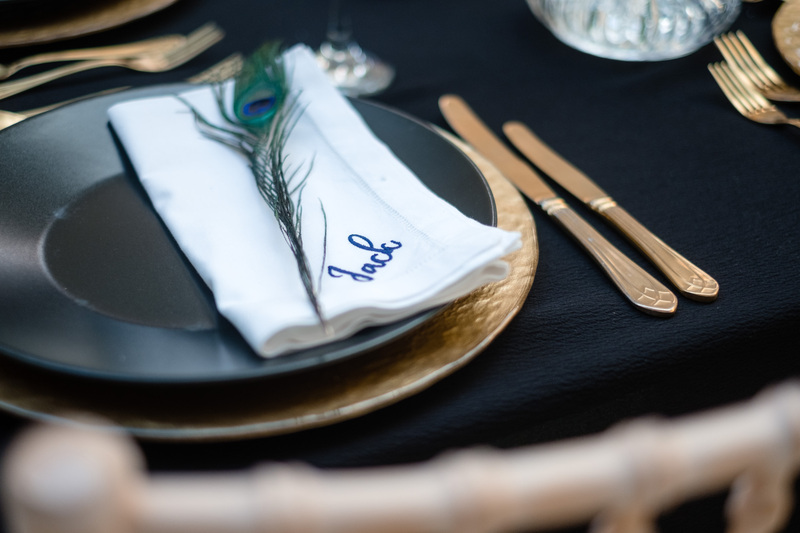 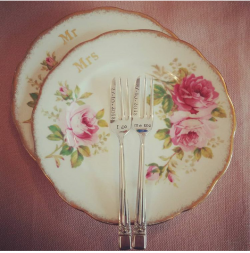 Extra Special Touch provided beautiful embroidered napkins to add that personal touch to the place settings! 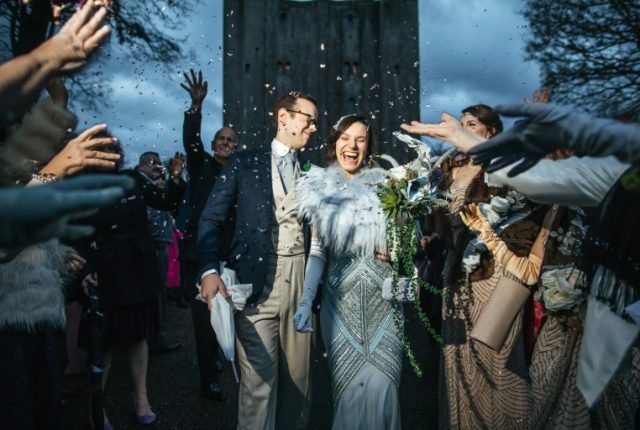 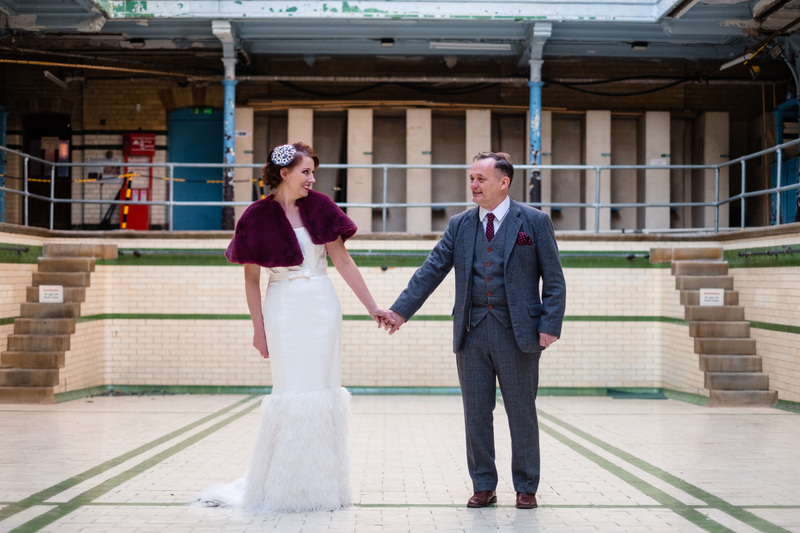 The silk and ostrich feather dress design was Stephanie Moran Bridal Couture and The Vintage Suit Hire Company dressed the groom. 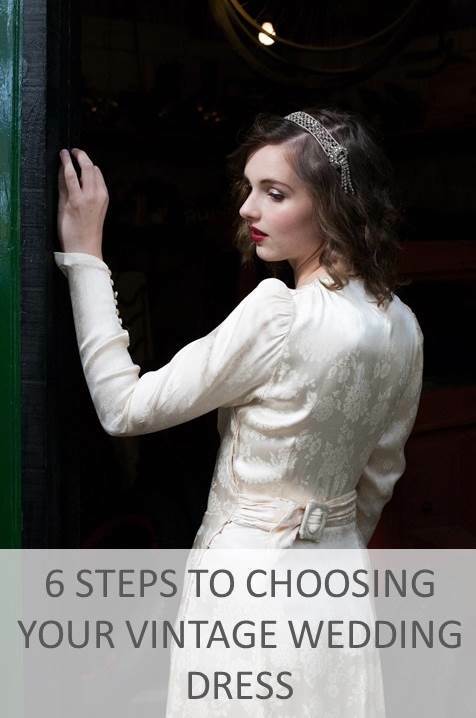 Glorious by Heidi provided the hand made hair piece for the bride – if your looking for something unique to you this is the place to go for the perfect accessory for your bridal ensemble. 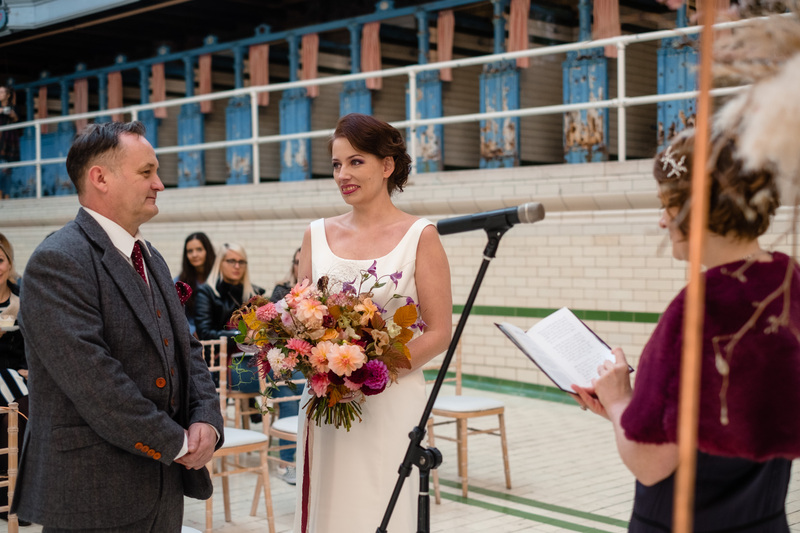 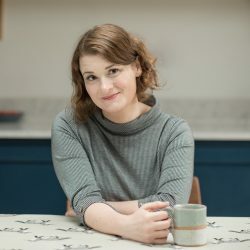 Hair and make up was by Sarah Whinstone – she did live make up throughout the fair and provided our brides with some top tips for their own wedding day make up. 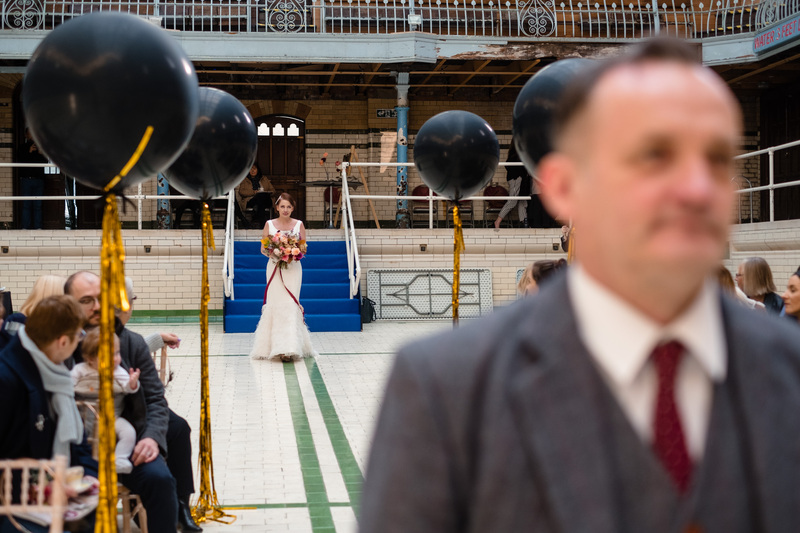 And last but by no means least both Matthew Grainger Photography and Neil Parry Films captured the day to perfection! 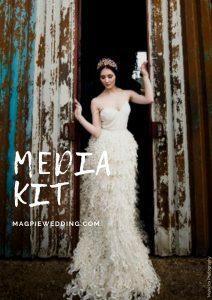 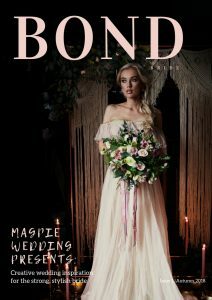 The Magpie Wedding Show: A Modern Vintage Wedding Extravaganza from Neil Parry Photography & Films on Vimeo.